There are 400 species of sedum in the Northern Hemisphere, according to Barbara Blossom Ashmun of the Brooklyn Botanic Garden. Most are perennial. Many sedums are native to parts of North America, such as Allegheny stonecrop, and some, such as Sedum acre, were originally from Asia. Because of the sheer numbers of species, the sedum family has been divided. The live-forever tall types such as Autumn Joy have been reclassified into hylotelephium; most in this genus are not native to North America. 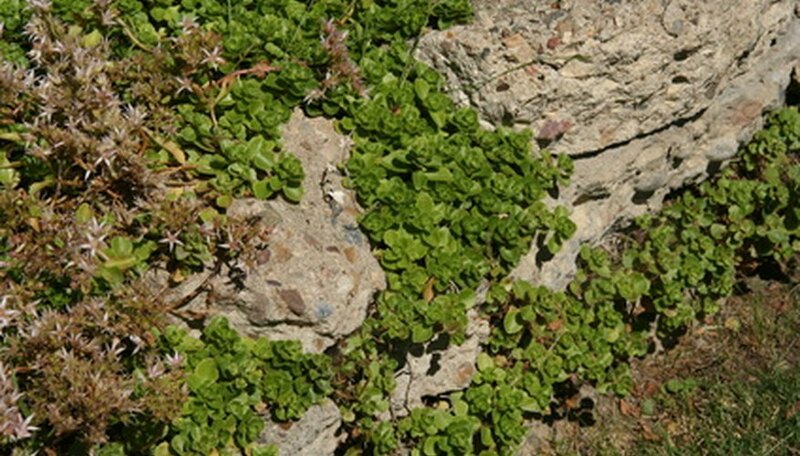 Sedum, also known as stonecrop, is a rock gardener's joy. Many varieties and hybrids are available commercially and they are so easy to grow, it can be hard not to start a collection. 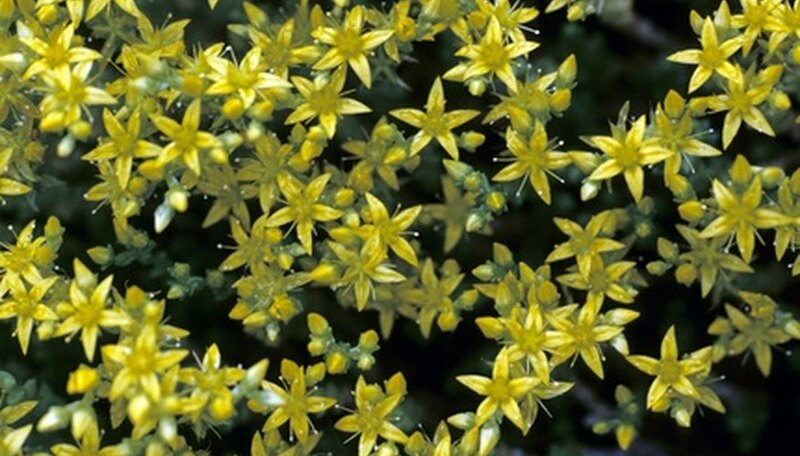 The tidy habit of the yellow-flowered sedum Goldilocks is perfect for rock gardens. 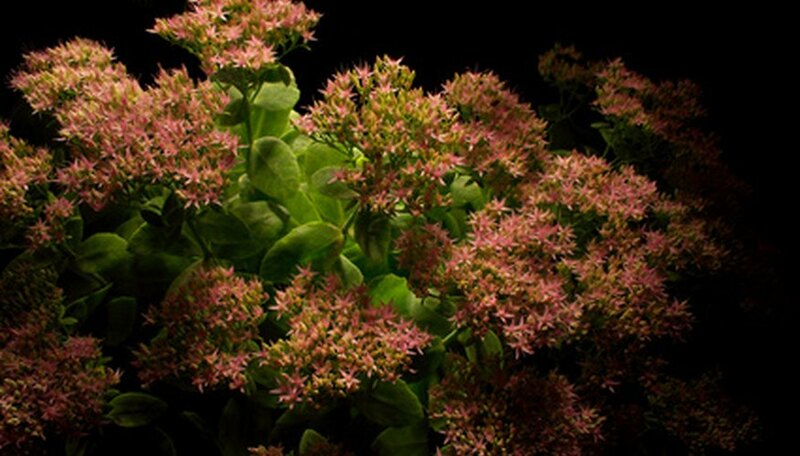 Sedums such as John Creech, with its green foliage and pink flowers in spring, are better suited for use as a ground cover because of spreading tendencies. 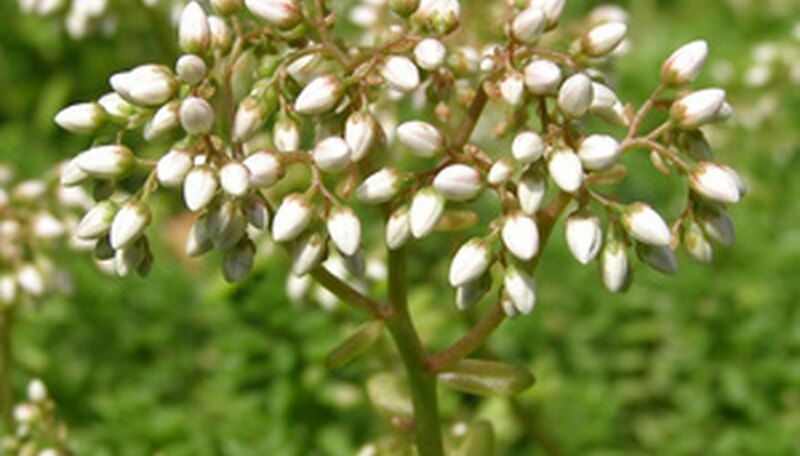 Some, like Sedum cauticola, have bluish foliage and bloom pink in the fall. Although the tall sedums have been renamed "hylotelephium," nurseries and garden writers such as Barbara Blossom Ashmun refer to them as sedums. However they are classified, live-forever types are a great addition to the garden. They range from 12 inches tall like Vera Jameson and Rosy Glow to Autumn Joy at 2 feet. All bloom late summer into fall, although flower heads form earlier in the season and take on color slowly, usually in pink tones. Sedums are succulents. As a group, they are versatile in appearance, with the most variety occurring among the stonecrops. Add yellow foliage, such as that of Sedum "Angelina," to the blues and greens. Foliage can also be needle-like or round. Flowers are pink, white or yellow. The tall sedums have green foliage, variegated or purples (Sedum "Black Jack" is so purple, it looks black). Flowers in the tall sedums are in whites and shades of pink. Sedums are deer resistant. Sedums love the sun, well-drained soil and dry conditions. Too much water will cause the leaves and stems to rot. Tall sedums have a tendency to flop, especially if they're not in enough sun. 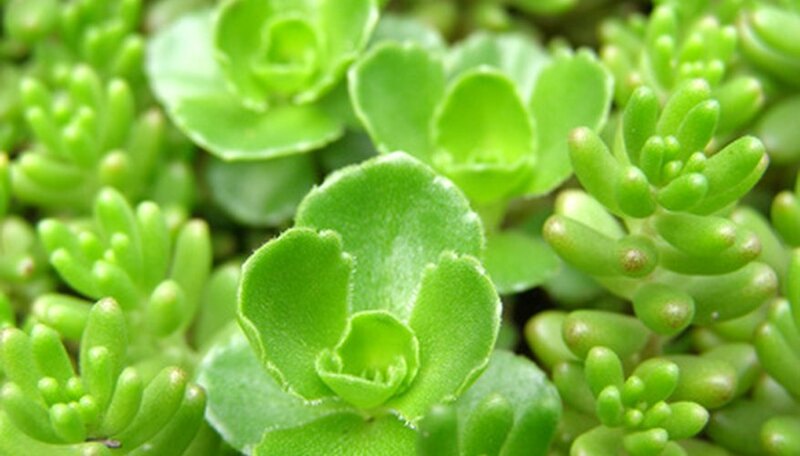 Some stonecrop varieties are evergreen, such as Sedum spurium. Tall sedums may have small foliage rosettes at the base of the plant during warm winters but are not actually evergreen. Dead foliage offers winter interest. Fertilize sedums with an all-purpose fertilizer in spring and propagate by division. 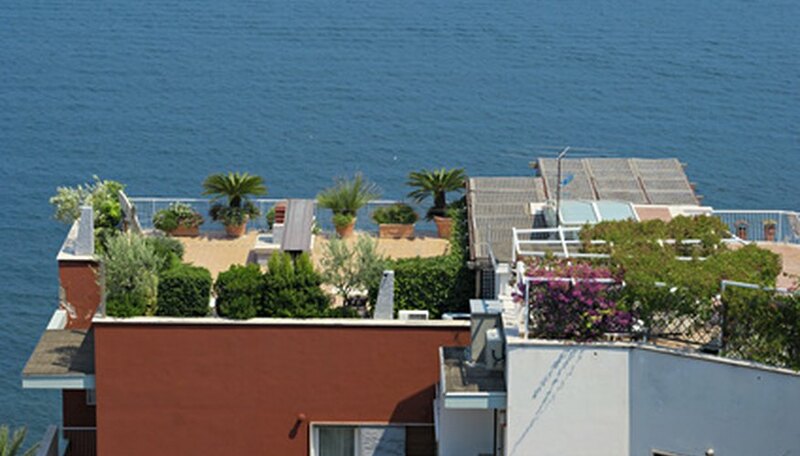 An exciting ecological trend is the concept of green roofs. Several universities, among them Michigan State, are conducting research, primarily in terms of plants and their environmental effects. A green roof is a roof actually planted with vegetation to replace what was lost when the building was built. A green roof also captures runoff that would otherwise affect the environment. In plant studies, sedums survived the conditions of heat, sun and inconsistent rainfall. USDA: Taxon: Sedum Acre L.